North Korea successfully carried out its third nuclear test, Pyongyang has confirmed. The UN Security Council has convened an urgent meeting following international condemnation from the US, Russia, South Korea, Japan and others. ­The nuclear test had an explosive yield of between 6 and 7 kilotons, South Korea's defense ministry said, according to AFP. Pyongyang said the move was part of an effort to protect its national security and sovereignty, citing US opposition to the recent North Korean space launch. ­The White House says President Obama held a phone conversation with South Korean leader in which both condemned the "highly provocative" North Korean test. Obama and South Korean President Lee Myung-bak decided to collaborate on a number of measures aimed at North Korea's missile programs. ­17:00 GMT: China, a permanent member of the Security Council, supported international condemnation of North Korea’s nuclear test and urged Pyongyang to "stop any rhetoric or acts that could worsen situations and return to the right course of dialogue and consultation as soon as possible". ­16:35 GMT: The UN Security Council has unanimously approved the non-binding statement. The 15-member council "will begin work immediately on appropriate measures". ­16:30 GMT: Washington and its allies intended to "augment the sanctions regime" already in place due to Pyongyang's 2006 and 2009 atomic tests, Susan Rice said. 16:12 GMT: In response to North Korea’s nuclear activity, the “UNSC must and will deliver a swift, credible and strong response by way of a Security Council resolution,” Rice said. 16:10 GMT: The UNSC said that North Korea “will be held responsible.” The council is “clearly committed to take significant action in the event of any further launch using ballistic missile technology or another nuclear test and indeed we will do so,” UN Ambassador Susan Rice said in a statement after closed-doors negotiations in the UNSC in New York. 14:20 GMT:The UN Security Council has begun an emergency meeting in New York called up by South Korea after North Korea's nuclear test. 14:10 GMT: US President Barack Obama has denounced North Korea’s third nuclear test, calling it a "highly provocative act." 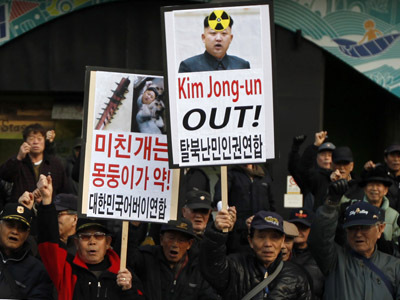 He said that Pyongyang's "threatening activities" warranted action by the international community. 13:55 GMT: The Kremlin has condemned North Korea’s test, saying it is an unlawful and severe violation of UNSC rules. “We demand North Korea to stop these unlawful actions, give up completely [its] nuclear-missile program, and return to [the] Non-Proliferation Treaty and IAEA safeguards system,” Russian Presidential aide Yuri Ushakov said. 13:37 GMT: Iranian Foreign Minister Ali Akbar Salehi has defended North Korea’s activity. He said that Pyongyang has a right to conduct nuclear tests as a part of its internal interests since North Korea withdrew from the Non-Proliferation Treaty in 2003. ­12:00 GMT: Chinese Foreign Minister Yang Jiechi has summoned the North Korean ambassador to the country, saying he was "strongly dissatisfied and resolutely opposed" to the test. 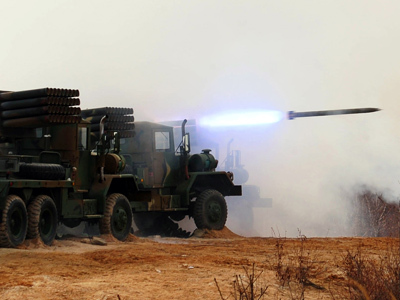 The top official also urged the DPRK to "stop any rhetoric or acts that could worsen situations and return to the right course of dialogue and consultation as soon as possible," Reuters reported. — William Hague (@WilliamJHague) 12 февраля 2013 г. 11:33 GMT: UK Foreign Secretary William Hague urges the UNSC to step up pressure on North Korea, calling for China to support sanctions. 11:32 GMT: A North Korean diplomat tells the UN disarmament forum that the country "will never bow down to any resolution," Reuters reported. Pyongyang suggests it will conduct additional nuclear tests should the US react with hostility, Yonhap News Agency reports. 11:16 GMT: North Korea warns of "stronger" actions after nuclear test, AFP reported. The country's Foreign Ministry warns of unspecified “second and third measures." 11:03 GMT: Moscow calls for the resumption of six-party negotiations on the North Korean nuclear issue, Russia’s foreign minister Sergey Lavrov said. 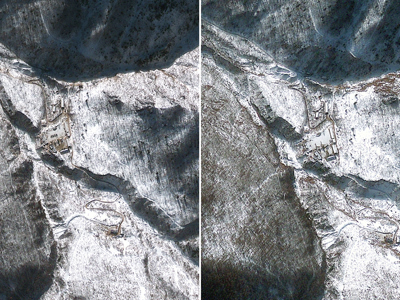 10:28 GMT: The Vienna-based Comprehensive Nuclear-Test-Ban Treaty Organization says the North Korean nuclear test was roughly twice as big as its 2009 test. 10:25 GMT: Japan is set to send planes to collect air samples in order to detect radiation from the North Korean nuclear test, AFP reported citing Japanese officials. ­10:10 GMT: NATO condemns North Korean nuclear test, saying it poses grave threat to international peace. — AndersFogh Rasmussen (@AndersFoghR) 12 февраля 2013 г. 10:06 GMT:The Russian Foreign Ministry says that Pyongyang has once again ignored the norms of international law, and demonstrated its neglect of the UN Security Council's decisions. "We insist on North Korea putting an end to all illegal actions, complying to all UNSC orders, and fully giving up nuclear missile programs,” the Ministry pointed out in the official statement. 9:30 GMT: North Korea notified US, China of nuclear test plans a day earlier, South Korean official said, according to Yonhap News Agency. 9:26 GMT: EU’s High Representative for Foreign Affairs and Security Policy Catherine Ashton has condemned North Korea’s nuclear test, urges the leadership to refrain from further “provocative” actions, AFP reported. ­9:20 GMT: Iranian Foreign Ministry spokesperson calls to put an end to nuclear arms after North Korean nuclear test, AFP reported. 9:13 GMT: German Foreign Minister Westerwelle strongly condemns the North Korean nuclear test, calling it a “gross violation” of UN Security Council resolutions. He called on the UN to consider further sanctions on Pyongyang. 9:06 GMT: French President Francois Hollande strongly condemns North Korea's third nuclear test, and said that France was working with its United Nations Security Council partners on a firm response. 8:30 GMT: The Chinese Foreign Ministry calls for a solution under the framework of six-party talks, and strongly urges North Korea to abide by its non-nuclear commitment and not to take action that could aggravate the situation. 8:25 GMT: The IAEA calls the North Korean nuclear test a blatant violation of a UN Security Council resolution, RIA Novosti reported. 8:02 GMT: Russian, Japanese, US top diplomats discussed the North Korean nuclear test over the phone, Russia’s Foreign Ministry said, according to RIA Novosti. Map showing nuclear test facility. 8:00 GMT: Chinese state TV reported that North Korea might have conducted the test after the earthquake, AP said. 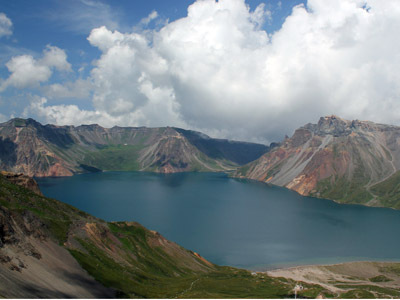 CCTV quoted residents living along the North Korean border in Jilin province who said they felt the ground shaking for about one minute around the time the quake hit. 7:45 GMT: North Korea's latest nuclear test measured 4.9 on Richter scale, bigger than its 2009 test, Reuters reported. 7:20 GMT: Russia’s intelligence agency put the capacity of the nuclear test at 5 kilotons, according to RIA Novosti. 7:00 GMT: US President Barack Obama says the North Korean nuclear test "undermines regional stability." The American leader also added, "North Korea’s nuclear weapons and ballistic missile programs constitute a threat to U.S. national security and to international peace and security." 6:55 GMT: The capacity of the nuclear test exceeded 7 kilotons, Interfax reported, citing a source in the Russian Defense Ministry. US & Japan launching airborne assets to try to detect traces of radioactive gases from #DPRK#nuclear test. #NorthKorea state media says the #nuclear experiment tested "lighter, smaller" warhead, yielded stronger explosive charge. ­6:35 GMT: Russia "decisively condemns" the North Korean nuclear test on Tuesday, saying it violated Pyongyang's international obligations, Interfax reported. 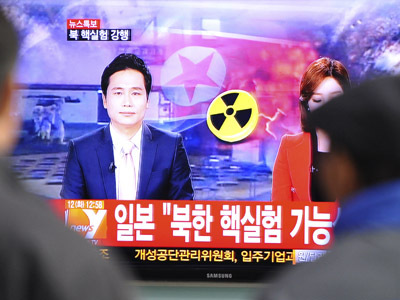 6:34 GMT: UK Foreign Secretary William Hague has "strongly condemned" North Korea's nuclear test, calling it a "violation of United Nations Security Council resolutions."